Dogs are running to get their coats. Anyone feeling a bit cold? It’s time to put on that warm gear and get outside, whatever the weather. 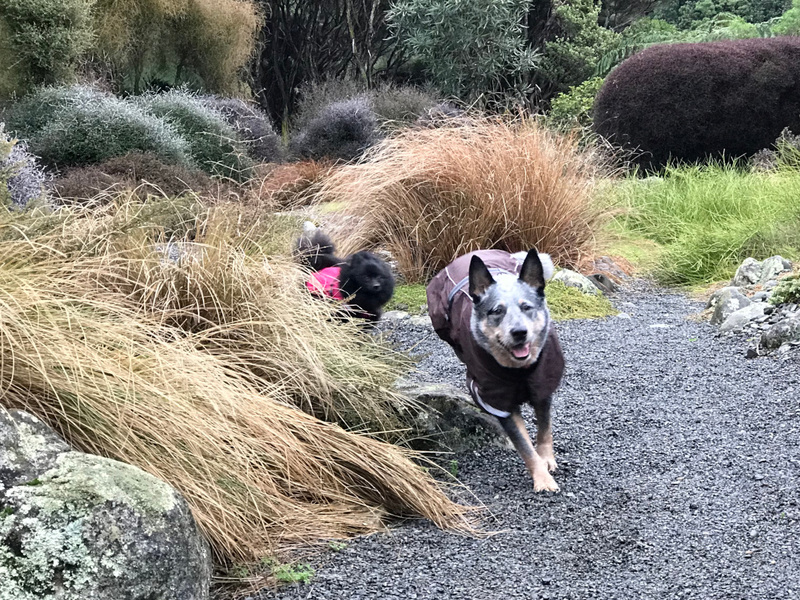 Dogs Outside is a New Zealand owned supplier of Hurtta Dog Clothing and Equipment. Hurtta is based in Finland and have been designing and testing products in their cold and changeable conditions for 20 years. Hurtta’s rainwear products use material laminated with a water-resistant and breathable Houndtex® coating. Most products include high-visibility 3M reflectors applied or woven into the material. The products are most suitable for outdoor activities in all sorts of conditions including low light levels. Rain, wind and even snow are no barrier to activities with your dog when wearing Hurtta products. Hurtta produces quality dog collars, dog harnesses, dog leads or leashes, high visibility vests, rainwear and warm clothing. To view available products and make purchases, see our Shop page.